Drivers will be sorted by race class at tech on Wednesday and start position will be determined first by class and then by draw order. 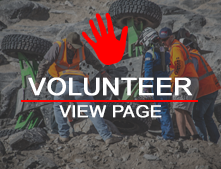 In an effort to better service our drivers we've created a schedule for when Registration will be open on site during King of The Hammers week. The first thing all drivers should do upon arriving on the lake bed is proceed to registration. Drivers should be prepared with the following information upon arrival at registration. The 2013 King of the Hammers week entry forms are available for all races.